In which you should not presume to judge Madelyne Pryor by your standards; we wrap up the core plot of Inferno (but still somehow have two episodes left to go); sympathetic is not the same thing as right; Storm and Jean use friendship and it’s super effective; Iceman is basically incorruptible; Angel gets a new codename; Cyclops gets a backstory; Sinister is aptly named; and Inferno makes retcons into retconade. As always, David Wynne art this week is fantastic. Love the colors! Ah, the Magma/Mephisto relationship. I actually enjoyed that. It was cute. I hated the Wolverine/Jean kiss, because I hated that ship so much. Havok’s costume is hilarious in this arc. It’s weirdly charming. I’m a sucker for The Power Of Friendship, so the Storm/Jean moment is great. Evil Longshot is kinda delightful. Evil Dazzler is great, too. On Jean’s comment about sacrificing a child being unnatural: A lot of animals eat their young. I’ve always felt that arguing that something is “unnatural” kinda misunderstands how messed up nature is. The Jean/Maddie confrontation is pretty awesome. I do like that Jean does not stop trying to help Maddie. She’s a good person, and she has so little room in her heart for hate. Scott blasting Sinister down to a skeleton is kinda weird, actually. How does that even work? But eh, it’s awesome. It’s very cool that after three years, the X-teams finally meet up. Maddie’s returns over the years have always been pretty underwhelming. Like the time she started dating her alternate-reality kinda-son. That was really weird. And that was probably one of the better post-Inferno stories she was in. So a minor nitpick that’s always bugged me about Inferno: Jean and Ororo greet each other like the oldest and dearest of friends. That’s totally believable from Ororo because she had the entire history of the characters terms from Krakoa until The Blue Area to befriend Jean. But Jean at this point doesn’t have that history. So the only relationship she’d have with Ororo runs from Giant Size X-men through Uncanny #98-99. For most of that time she was intentionally not on the team. Always wondered why Jean was so willing to trust a woman who she’d barely known who just grabbed her with hurricane force winds. Oh it also makes the Wolverine kiss even more inappropriate. Wolverines never had any relationship with this Jean basically. Both were developed mostly in Classic X-Men back-ups, IIRC. But even so, wouldn’t most of that development been with the Phoenix? I certainly don’t have any issue with the idea of Jean and Ororo being friendly during the couple months between GXM and Christmas…just have a hard time buying them being best friends prior to Jean rejoining the team after UXM 100. Classic X-Men # 2, reprinting X-Men # 94, has a backup story called “First Friends” which specifically sets up the friendship between Jean (yes, Jean, not Phoenix) and Ororo. Claremont did a bit of set up in the Classic X-Men series for the then-current X-Men title. 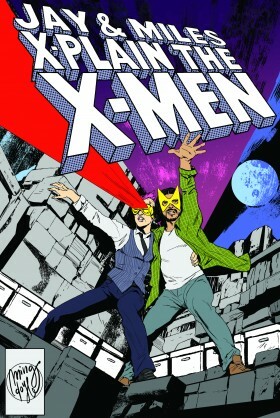 During Inferno, Warren and Logan quote directly from their confrontation in Classic X-Men # 1. And the band of pirates on a flying wolf that appeared in X-Men Annual 12 had their introduction (and, I believe, only other appearance) in the Classic X-Men 22 backup. Jean and Ororo became friends entirely off panel. And it was actually Jean. When they’re up in space and the new X-Men were fighting the evil older X-Men robots, Ororo appeals to “Jean” about the confidences they shared and such… that’s before Jean becomes Phoenix so it happened… well, who knows when exactly but somewhere in the brief downtime they may have had in between three issues. I remember when I was first collecting back issues how much I hated the Jean/Logan thing because I could never find any actual canonical reference to this love affair that seemed to be common knowledge to all. Only to find that there wasn’t one. Finding out all the stuff Claremont felt about Scott after Jean was resurrected, this kiss in particular is a way for him to retcon these ‘wild feelings’ that Jean allegedly has for Logan but, ultimately, the Jean/Logan thing is ALL on Logan. Before this unwanted grab-and-kiss, the last time Logan actually interacted with JEAN was on the shuttle when she had her fill of him and basically ripped him to shreds saying she tried to find something worthwhile in him but shouldn’t have bothered. All of the Jean/Logan whatever… is from LOGAN. Logan ‘had plans’ for them, Logan insisted that he loved her and lost her while Jean never gave any indication that she was remotely interested in ever leaving Scott. I know about the back up stories in Classic X-Men which was Claremont rewriting that after the X-Factor #1 made Scott irredeemable in his eyes but I don’t consider those to be canon. They aren’t a part of the main books and the main books had Jean and Logan kiss twice (until Morrison’s New X-Men and even that started and began not about Jean loving Logan but having issues with Scott) — and neither seemed to be something Jean wanted to do. I think a part of me resents that Inferno became a huge sprawling crossover like this. To see the whole Limbo thing co-opted and strung out (so that Ilyanna didn’t manage to stop the citywide possession) by the Maddie storyline, when Maddie’s past was revealed to be quite convoluted enough without all this on top, and requiring the creation of an entirely new and never-before mentioned demon like Nastirh seemed like rather clumsy shoehorning for the sake of the “event”. There was definitely a story to be told here which could, I think, have been done with Sinister in place of Nastirh and the sliver of Phoenix that came to Maddie to wake her up going Dark Phoenix by itself, and Jean and Scott and the others dealing with that, but once you throw the whole dark magic/possessed Manhattan/Goblin Queen stuff into the mix, it seems too cluttered and at the expense of the story that should have been primarily about Ilyanna and her redemption, especially as she was the only actual magically empowered person across all three teams. I totally agree. I’ll admit that Madelyne’s story is probably better, but I hate that it totally overshadows everything that happened to Illyana. Illyana’s entire life has been defined by Limbo, everything she is is shaped by it, but the moment everything comes together, she’s just the B-plot of the story. Miles: The coach “horses” are actually flaming nightmare *unicorns. * So, demonic cherry on top. Anything and everything is improved when Mister Sinister is added! I’ve really appreciated the Inferno coverage, because it’s giving me a different perspective than I had reading it — or at least a different perspective than I recall. What I remembered about Inferno from reading it years ago was that the X-Men and X-Factor finally met face to face, and that the event was very centered on Mister Sinister. But I think my experience reading the event was very fractured – I originally read the Uncanny issues, as those were the ones I had. X-Factor got added later on as I filled in my back issues on that series, and then I read The New Mutants issues later still. Hearing the event X-plained in a sequence that is very similar to how the issues would have been published back in the day really makes me appreciate how well everything was interwoven. And it reminded me of things from the event I had completely forgotten – Phoenix’s involvement with resolving the Jean/Madelyne situation, and the retcon about Madelyne’s powers manifesting back in Uncanny #201. Keep up the great work X-perts! I’ve always wondered if Madelyne’s problems started with post-partum depression? I know that it wasn’t really known as well as a thing during the time when this was written but, at the same time, everything seems to start going to hell after Nathan Christopher was born. Is this a good time to complain about how friggin’ bad the “What If the X-Men Lost Inferno” issue is? Because that issue bugs me mightily. So Magneto oscilates between Hero and Villain a lot. Has Madelyne Pryor ever had an attempt at a redemption arc, and if not, how would you do a hypothetical redemption storyline for her? So I guess we’re just not talking about Scott’s brief stint with Jack O’Diamonds anymore? Also, I loved Maddie. Her return in X-Man (and subsequent appearances) was just awful. Agreed on Wolverine’s bone claws, but Xorn was made worse by the retcons, in my opinion. He was a guy pretending to be Magneto pretending to be a guy? Sorry, just no.